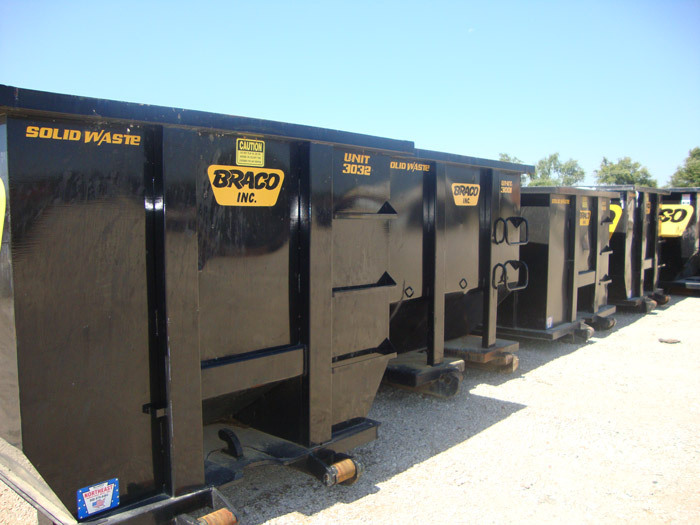 Frequent Questions | BRACO INC.
How many tons will one of your boxes hold? Answer: We don’t like to give estimates because box capacity is more a function of volume than weight. The max weight is 20 tons, but customers rarely exceed 5 tons. Do your containers have lids? Answer: No, because they are accessible from the top and one end of container. Customers may choose to tarp container to keep precipitation out. Can I use a roll-off as a dump truck? Answer: Yes, in many applications. 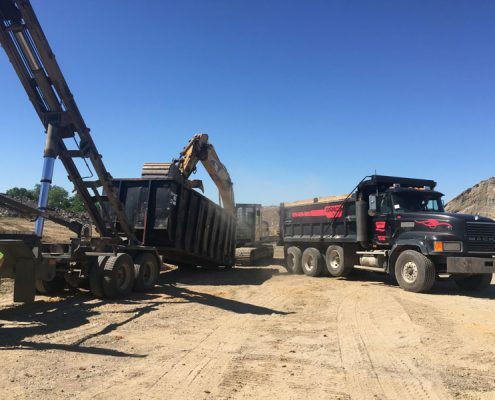 Why use a roll-off instead of dump truck? Answer: Construction and demo debris are usually low density loads. A larger capacity box can reduce the number of trips, saving the customer money. What can I put in the boxes? Answer: Most waste is acceptable; however, it will affect how much you pay. The following CANNOT go in the box: Tractor Tires, Paint, LP Gas Cans. (We will contact customer to pick these items up. Answer: Yes, as with anything there are restrictions. Restrictions include..
DO NOT fill box beyond the top. Boxes cannot hold liquid waste, or anything that might damage the box. The truck must be able to place and pick up the box. DO NOT clean paint brushes off on the side of the box. DO NOT put any smoldering material in the box. Can your trucks haul anything besides containers? 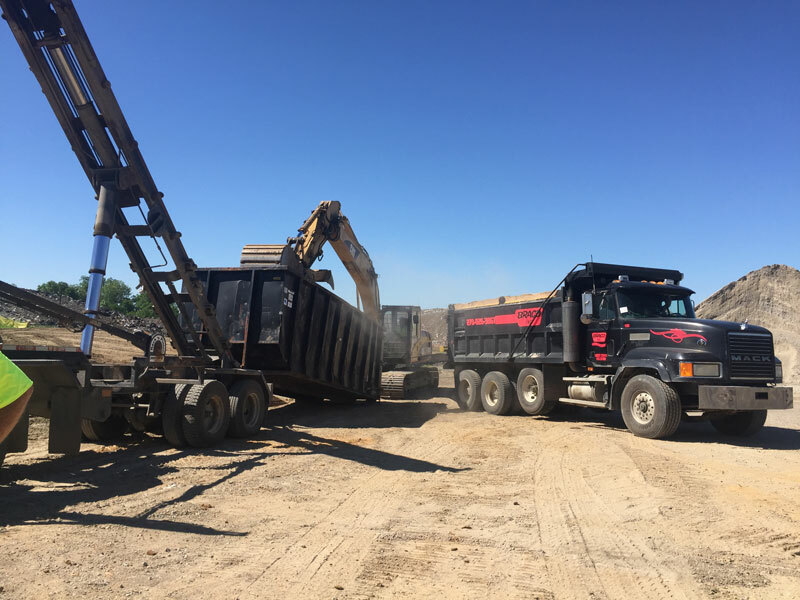 Answer: We have flatbed attachments, which allow us to haul small equipment, machinery and skids of supplies to your job site. They can also be left on your site as needed. 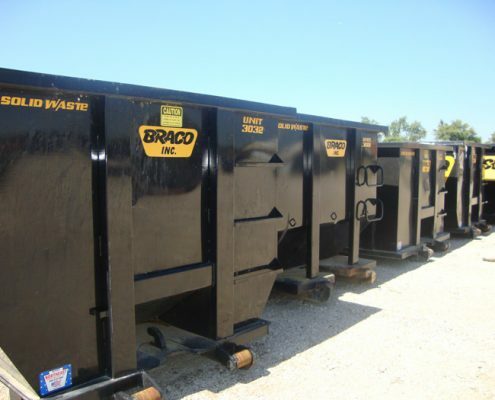 Our trucks can also haul industrial trash compactors.